Finally, a very good Glitch hop mix made in Poland! It's really nice to see West Coast / glitch / acquacrunk / lazer bass sound gaining a strong foothold in my country, the more so as this music in the previous year spred across the globe pretty fast, which is clearly visible in the tracklist of this very mix, including tunes by Robot Koch (Germany), Loops Haunt (UK) or Pixelord (Russia). The more people pushing this future sound in my native land the more chances to book artists and create some scene, which - few exceptions notwithstanding - has been non-existent so far. But the wind of change has finally blown some fresh air to the Central Europe. 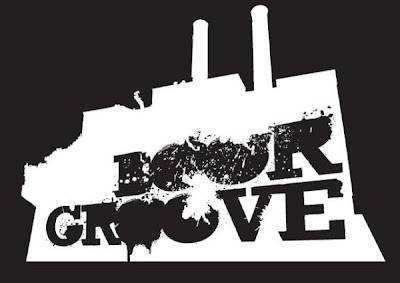 The perpetrator of this mix - Mash Machine with his friends from the pioneer Polish dubstep crew of My Head is Dubby, having open minds about music decided to launch a new side-project callled Boorgroovee and are seriously thinking about pushing this hard-to-describe sound in Poland. This mix was recorded and published as a part of the Boorgroove platform. Expect to hear more from them soon and for the time being, immerse yourself in these beautiful beats and fantastic sonic landscapes.